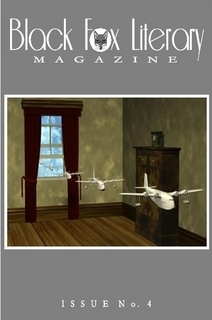 Racquel Writes: New Issue of Black Fox Literary Magazine! Hello all! The Spring issue of Black Fox Literary Magazine is now live on our website! I'm so excited to release this one. We have some of the best fiction, non-fiction, poetry and art this time around. Pam, Marquita and I are so proud of this issue and we're thrilled to have so many quality pieces coming our way. As always, the issue is available on the BFLM site for free. You can support us by purchasing the print copy or the eBook version. We just started offering the eBook version and it can be viewed on most readers, including the iPad. We hope you enjoy the issue! Happy reading! Features work by: Jason Lea, Frank Scozzari, Sean Walsh, Carol Hornak, Sarah Goncalves, Diane Gillette, Alejandra Taylor, Sanchari Sur, Ray Succre Devon Sova, Trina Gaynon, Jennifer Lenhardt, Sagirah Shahid, Grace Woodard, Mary Lee, Scott William Woods and Michael McConnell. Special Interview with Jamie Reed, author of Living Violet. Cover Artist: Daniel Dysson. It looks like a great issue, Rachel.